The Allies initiated Operation Olive in August ’44 to break through the Gothic Line running east/west from Pisa on the Ligurian Sea to Rimini on the Adriatic. The town of Rimini sat on an open coastal plain with a small airfield a few kilometers to the south. Numerous small villages dotted the plain and foothills to the west. This area was called the Rimini Line and was critical to the Allies plan to push north. 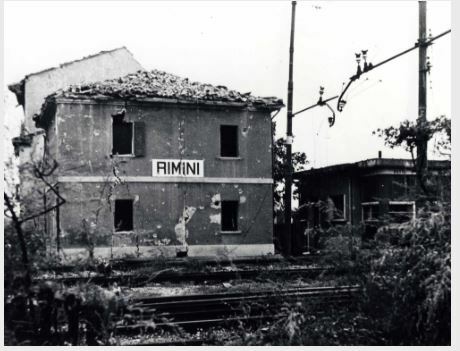 The battles for Rimini Airfield and the town of Rimini were considered by Lieutenant-General Leese, Commander of 8th Army, to have been the toughest of WWII. 2 Comments on "Rimini Airfield H2H Campaign"
This would make a brilliant Allied single player campaign. Do you plan to provide some Axis battle plans and incorporate your work into a .cam file instead of just .btt stand alone H2H battle files? If so, I am really looking forward to it. The idea behind Rimini Airfield was to make an H2H campaign. I have never made a single player campaign. I’ll take a look at it and see what it would take.